David Soren is the Regents' Professor of Anthropology and Classics at the University of Arizona. His B.A. is from Dartmouth College in Greek and Roman Studies. His M.A. from Harvard is in Fine Arts and his Ph.D. also from Harvard is in Classical Archaeology. He is the former Curator of Coins at the Fogg Art Museum and was a professor and department head at the University of Missouri - Columbia from 1972 to 1982 after which he became a professor and Department Head at the University of Arizona with a courtesy appointment also in the Art History Department. Soren has published 9 books and more than 80 scholarly articles on Roman archaeology, dance, film and vaudeville. He is also a film-maker, having worked with Italy's RAI I and 2, the BBC, National Geographic and other organizations. Dr. Soren has obtained more than one million dollars in grants over his career. He has directed archaeological excavations in Cyprus, Portugal, and Italy and currently is principal investigator for the University of Arizona/Yale University/Stanford University excavation at Lugnano in Teverina, Umbria, studying a Roman villa and a cemetery filled with infant victims of malaria. The site has in 2018 been featured in more than 500 major media sources worldwide including Newsweek, Sky-TV London, National Geographic Spain, and the Washington Post. Dr. Soren also directs the Orvieto Study Abroad Program for the University, the largest overseas program at the university. He is the 2018 winner of the Teacher of the Year Award from the national Archaeological institute of America. Soren, H. D. (2017). GREEK AND ROMAN ART AND ARCHAEOLOGY AND THEIR INFLUENCE . Dubuque, Iowa: Kendall-Hunt Publishing. Martin, A. (2016). Art and Archaeology of Rome . Joseph and Mary Cacioppo Foundation. 400 page textbook published in hardback form.Recently adopted by Berkeley for their into to Roman Archaeology classRecently adeopted by UA Fine ArtsIncludes 6 videos that I directed and/or produced, shot on location in Italy and for which I also composed the musical score. Over 2 hours of video included.Includes more than 400 illustrations about one fourth of which I had commissioned and supervised, including detailed maps and building reconstructions. Soren, H. D., & Martin, A. (2013). RomanArt and Archaeology: Myths and Realities . Baltimore: The Joseph and Mary Cacioppo Foundation / Luminary Press. Soren, H. D. (2010). Archaeological Excavations at Mezzomiglio, Chianciano Terme, Tuscany, Vol. 2 . British Archaeological Reports, Oxford. Soren, H. D. (2010). Art, Popular Culture and the Classical Ideal in the 1930s . Soren, H. D. (2009). Art History of the Fantasy Film . Marquee Press: Baltimore. Soren, H. D. (2009). Art and the Classical Ideal in the Popular Culture of 1930s America . Marquee Press: Baltimore. Soren, H. D. (2015). "Etruscan Domestic Architecture, Hydraulic Engineering, and Water Management Technologies: Innovations and Legacy to Rome". In Blackwell's A Companion to the Etruscans (p. 16). New York: Wiley-Blackwell's. Soren, H. D. (2015). The Children's Cemetery of Lugnano in Teverian, Umbria: Hierarchy, Magic and Malaria. In The Archaeology of Childhood: Interdisciplinary Perspectives on an Archaeological Enigma, edited by Guner Coskunsu (p. 16). New York: SUNY. Soren, H. D. (2014). Etruscan Architecture. In Sinclair Bell, Alexandra Carpino,editors, A Companion to the Etruscans (Wiley-Blackwell, 2013) . Soren, H. D. (2014). The Children's Cemetery of Lugnano in Teverian, Umbria: Hierarchy, Magic and Malaria. In The Archaeology of Childhood: Interdisciplinary Perspectives on an Archaeological Enigma, edited by Guner Coskunsu (p. 16). New York: SUNY. Soren, H. D. (2012). Kourion, Cyprus. In Blackwell's Encyclopedia of Ancient History (p. 2). Blackwell's Encyclopedia of Ancient History: Blackwell. Soren, H. D. (2010). Kourion, Cyprus. In Blackwell's Encyclopedia of Ancient History (p. 2). Wiley-Blackwell. Soren, H. D., (80%), D. S., & (20%), E. N. (2009). Etruscan Cults in Roman Times. University of Wisconsin Press. Soren, H. D. (2018). National Geographic Spain (Spanish Edition). National Geographic (Spanish Edition) , 2018, 3. Soren, H. D., & editor, R. B. (2012). Kourion. Encyclopedia of Ancient History . Soren, H. D., & am, I. (2011). Etruscan Studies Vol. 14. Etruscan Studies/ The Etruscan Foundation . Soren, H. D. (2010). Etruscan Studies 13. Etruscan Studies . Soren, H. D. (2010). Etruscan Studies Vol. 15. Etruscan Studies . Soren, H. D. (2009). Etruscan Studies 13. Etruscan Studies . Soren, H. D., & authors, 1. d. (2009). Etruscan Studies Vol. 12. Etruscan Studies/ The Etruscan Foundation . Soren, H. D. (2011). What Happened to the Infants of Lugnano?. Soren, H. D., & none, . (2013, 2012-06-01). 4 Lecture Series . Humanities Seminars Summer Program. UA Poetry Center. Soren, H. D. (2012, 2012-06-01). A History of American Vaudeville (4 lectures) . Lecture Series sponsored by the Humanities Seminars Program. University of Arizona Poetry Center. Soren, H. D. (2011, 2011-12-01). Horace's Sacred Spring . National Lecture - The Cinelli Lectureship 2011. 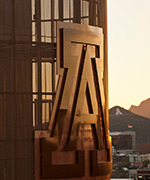 Tempe. Soren, H. D. (2010, 2010-03-01). Invited Keynote Lecture . Conference. SUNY Buffalo. Soren, H. D. (2010, 2010-06-01). Lecture on local Roman Archaeology . Guest Lecture. Orvieto, Italy. Soren, H. D. (2009, 2009-02-01). Lecture on Roman Infant Cemeteries . National Lecture Tour for Archaeological Institute of America. Santa Barbara. Soren, H. D. (2009, 2009-04-01). Vaudeville and American Popular History . University Distinguished Lecturer Series. Student Union. Soren, H. D. (2009. Book Review of Il Tempio di Giove e Le Origini Del Colle Capitolino. Soren, H. D. (2013. Film "The Radiocarbon Revolution". UA Radiocarbon Laboratory . I produced a new film entitled "The Radiocarbon Revolution" in conjunction with the UA Radiocarbon laboratory. It was directed by my student Taylor Genovese who will shoot the film, and runs 20 minutes and will be used by the Radiocarbon lab at the UA for publicity purposes and will be featured along with my other new films in my forthcoming textbook on Roman Archaeology. Soren, H. D. (2018, June and July). Principal Investigator- Archaeological Excavations at Lugnano in Teverina, Italy. Hold grant from Umbrian Antiquities Department to excavate villa and infant cemetery. I hold the permit and am principal investigator for the archaeological investigations of an infant cemetery and Roman villa in Lugnano, Italy, now under excavation by my protege David Pickel and a team from the UA and from various Italian institutions. This excavation is sanctioned by the Italian government. Soren, H. D., & Duncan, V. D. (2014, October). Roman Archaeology: Myths and Reality- film. Marquee Publishing, Baltimore. Soren, H. D. (2011, August). I directed the archaeological excavations at Chianciano Terme, Tuscany and have published one volume o. Archaeological Soprintendency of Tuscany. I directed the archaeological excavations at Chianciano Terme, Tuscany and have published two volumes on them I have been awarded permits from the Italian government for this, from the Soprintendenza Archeologica per la Toscana over a ten year period..
Soren, H. D. (2011, September). 4 pages were devoted to my theories and archaeological evidence for malaria in the late Roman world. Pour Une Archeologie del la Medicine Romaine 2011. 4 pages were devoted to my theories and archaeological evidence for malaria in the late Roman world in the new book POUR UNE ARCHEOLOGIE DEL LA MEDICINE ROMAINE (Archaeology and Roman Medicine) published at E. De Boccard in Paris and written by Danielle Gourevitch, Director Emeritus of the Ecole Pratique des Haute Etudes. Soren, H. D. (2009). Archaeological Excavations at Chianciano Terme Vol. 2. Soren, H. D. (2009). Forgotten Lives. Soren, H. D. (1985, September). I am a Fellow of Great Britain's Royal Institute of International Affairs since 1985 and participate. Royal Institute of International Affairs. I am a Fellow of Great Britain's Royal Institute of International Affairs since 1985 and participate in their activities.